This is such a clever use of a classic red bandana. I’ve always liked these with their bright red color and white lace-like patterns. When I see one of these iconic handkerchiefs, I think of cowboys. And, I just love how they were used in this western-themed table setting photographed by Megan Sorel. The bright red color really pops against the teal gray tones of the metal plate. And, it’s just perfect that a gray-toned burlap was used for the place setting on a natural wood table. The tiny horseshoe detail is an awesome touch to this look. A dark navy accent in the tie completes the design. 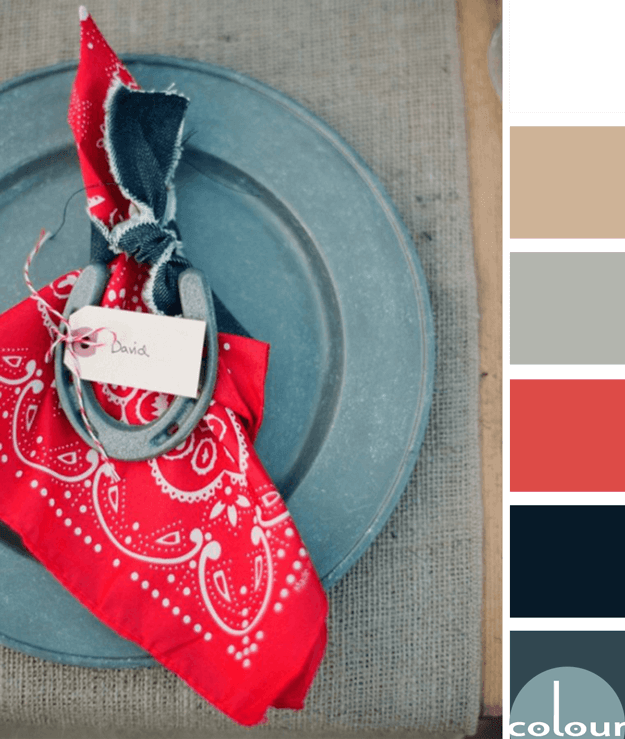 The ‘Red Bandana’ paint palette is a good choice if you’re trying to create a country vibe. Do you like the classic red bandana? What does this iconic handkerchief remind you of? 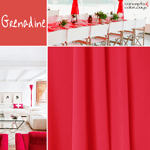 If you like this color palette, you might also like my Grenadine color trends post. I couldn’t agree more, this was a clever way to use something no one would think you’d use. It’s beautiful and makes for a fun tablescape. Love this color palette. Oh my goodness! I LOVE that little red bandana/horseshoe place setting. 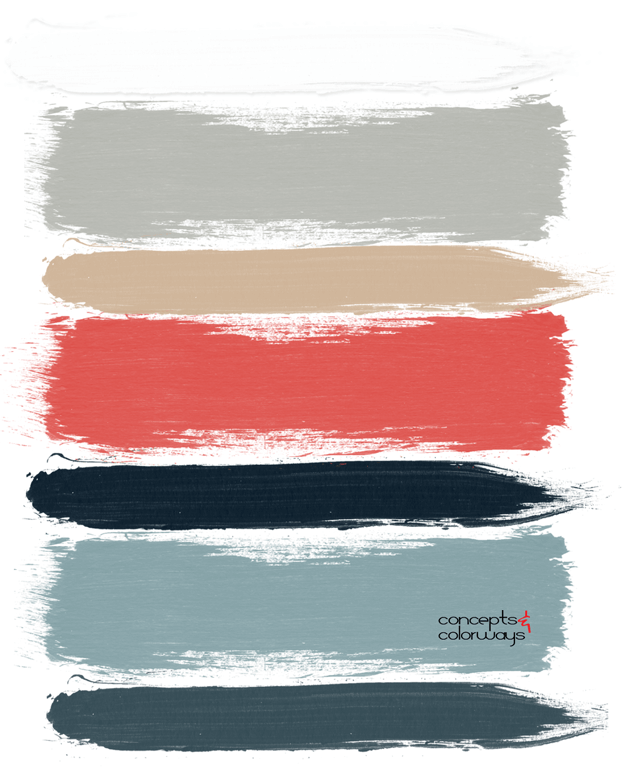 And what a creative inspo image for a color palette! 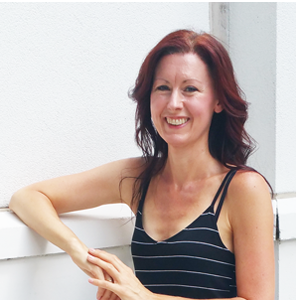 Me too Lora! I’ve always loved red bandanas but never thought to use them as a napkin. Such a clever idea!